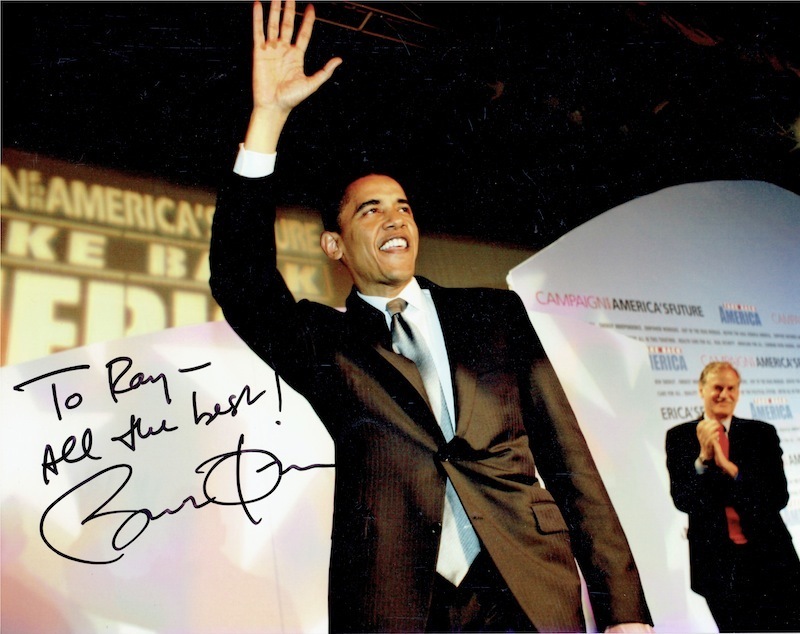 Barack Obama (1961 – ) 10×8“ Colour photograph of Obama addressing the crowd. 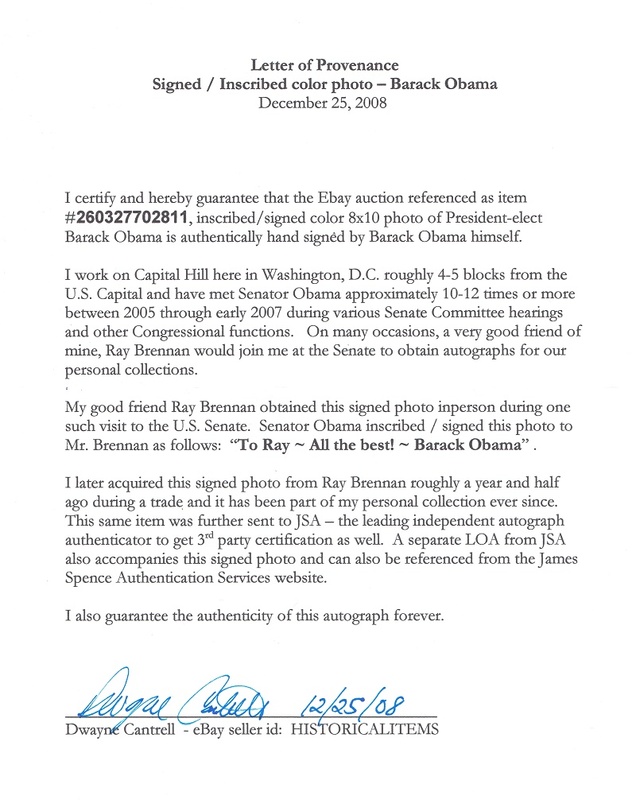 Signed in Washington DC, Spring 2005. Obama is the 44th President of the USA and first Black President. 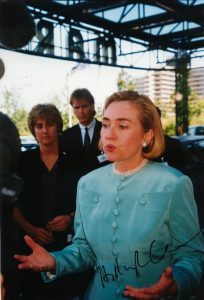 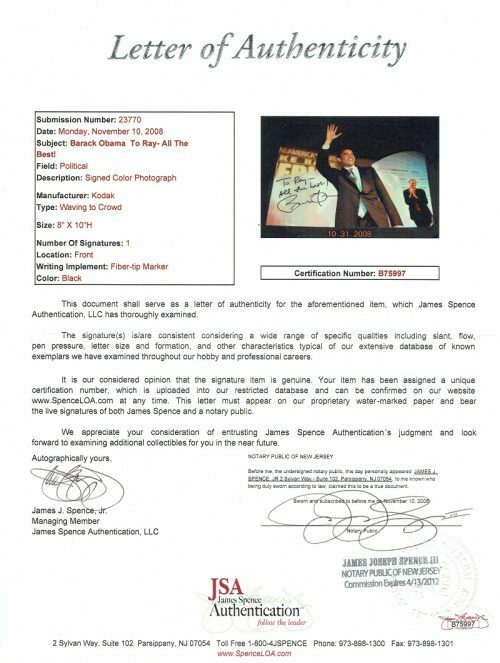 Authentically signed items are rare and many offered are forgeries. 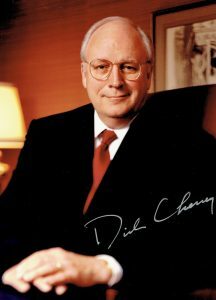 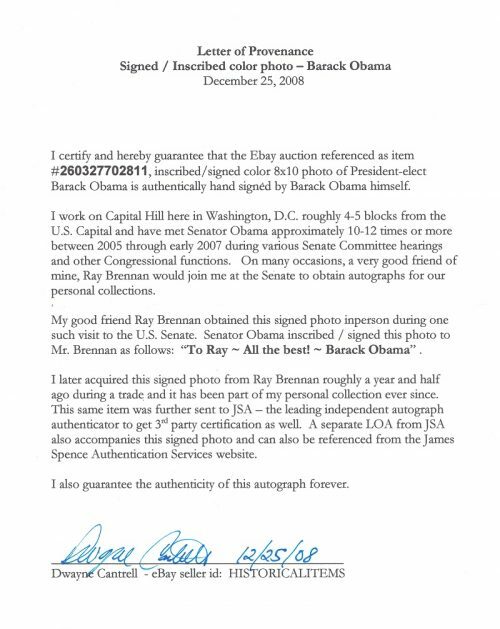 This item comes with Barack Obama’s business card whilst Senator for illinois, and letters of authenticity, including James Spence.